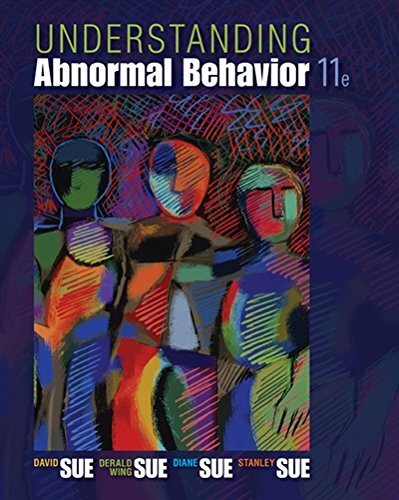 1305088069 -UNDERSTANDING ABNORMAL BEHAVIOR, 11th Edition offers balanced and clear coverage of psychopathology theories, research, and clinical implications. Fully updated to reflect DSM-5 and the newest scientific, psychological, multicultural and psychiatric research, the book introduces and integrates the Multipath Model of Mental Disorders to explain how four essential factors-biological, psychological, social, and sociocultural-interact to cause mental disorders. A focus on resilience highlights prevention and recovery from the symptoms of various disorders. This edition also continues its emphasis on the multicultural, sociocultural and diversity aspects of abnormal psychology. The authors present material in a lively and engaging manner, connecting topics to real-world case studies, current events, and issues of particular importance and relevance in today’s world. Special features and the fresh design make the book even more approachable and appealing to all readers.